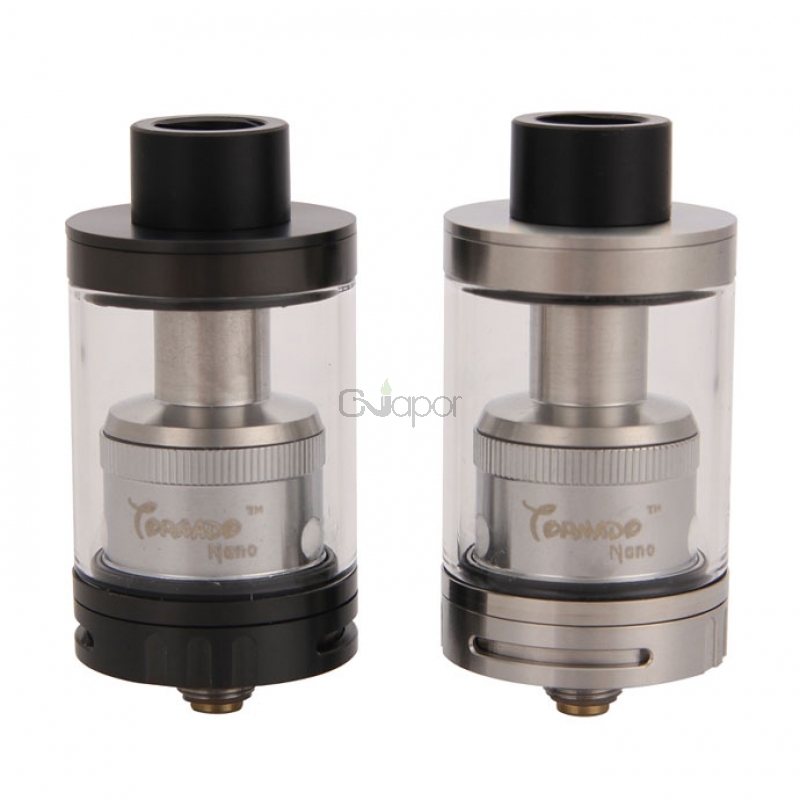 IJOY Tornado Nano is a new version atomizer that features RTA and sub ohm tank system. 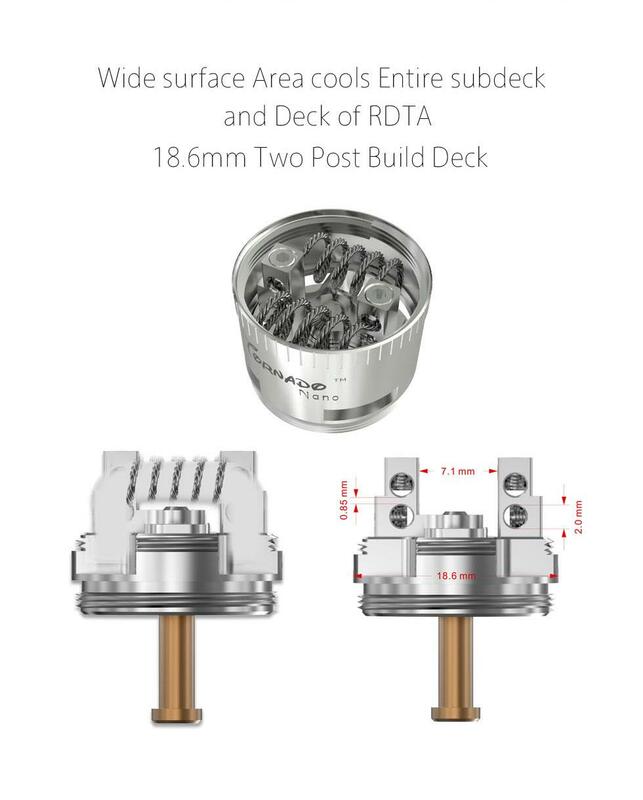 It comes with a 18.6mm diameter two post deck and with 2mm diameter terminals that allow for a wide variety of build configurations. This RTA has 4ml liquid capacity and convenient top filling system. 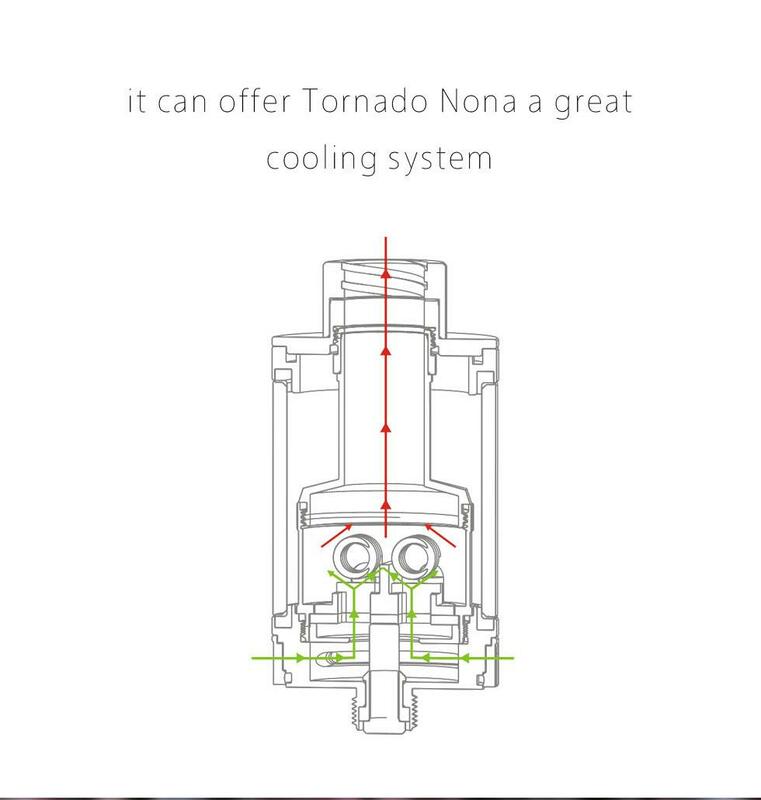 It also has innovative chip coil to offer Tornado Nona a great cooling system. 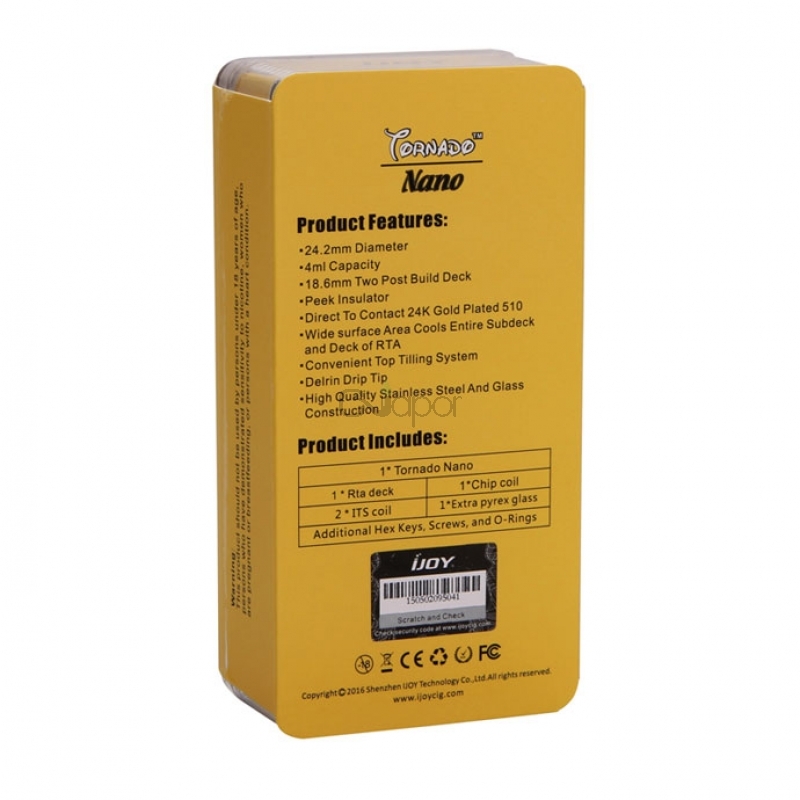 I have two of these now and have gifted several to friends, and we all love them. 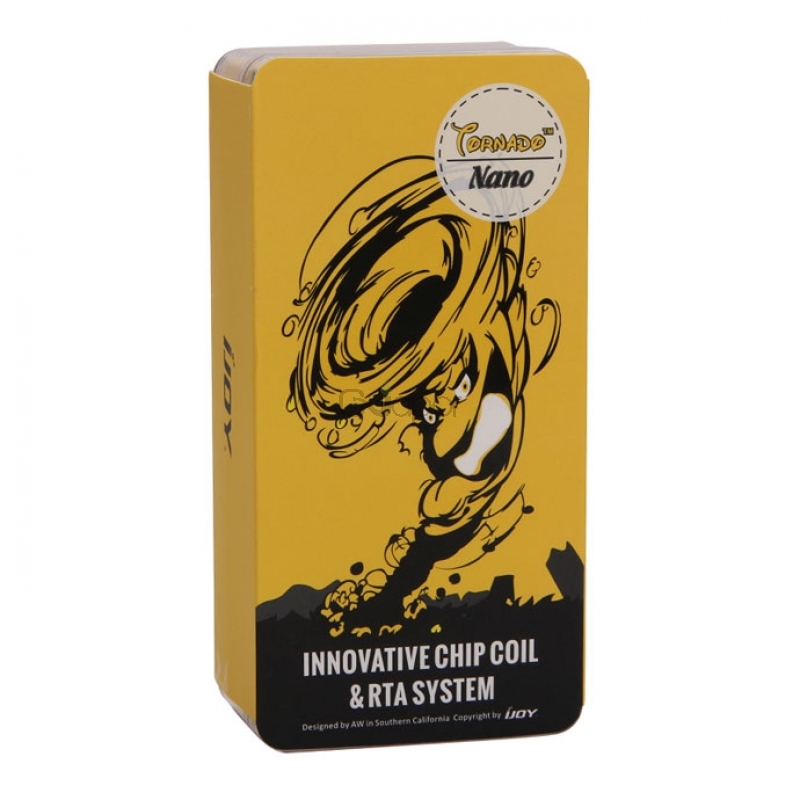 The Chip Coils have made the Nano a no hassle cloud Monster! 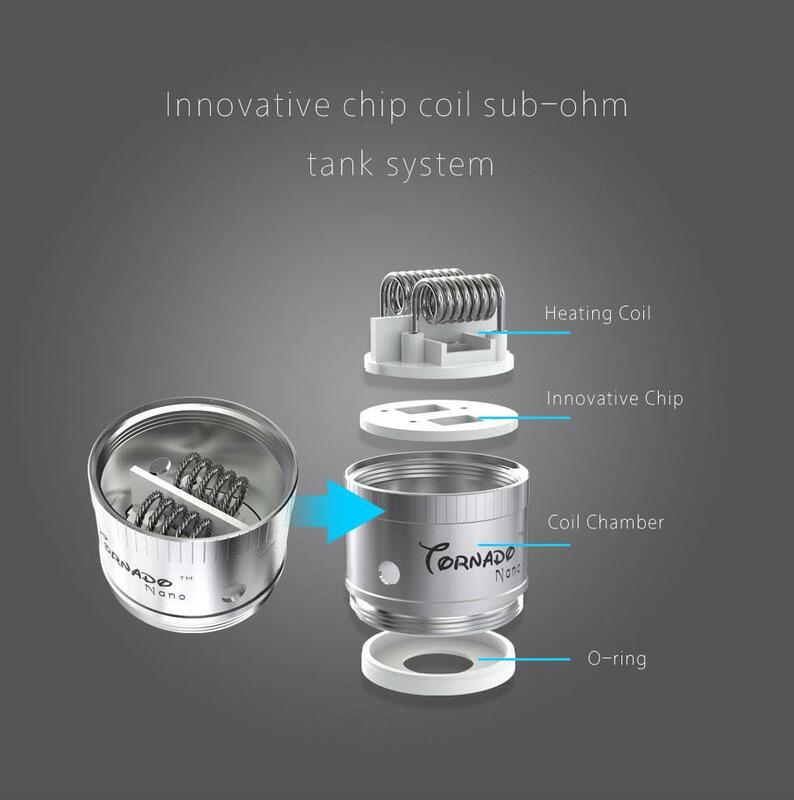 The coils last forever if cleaned and re-wicked. 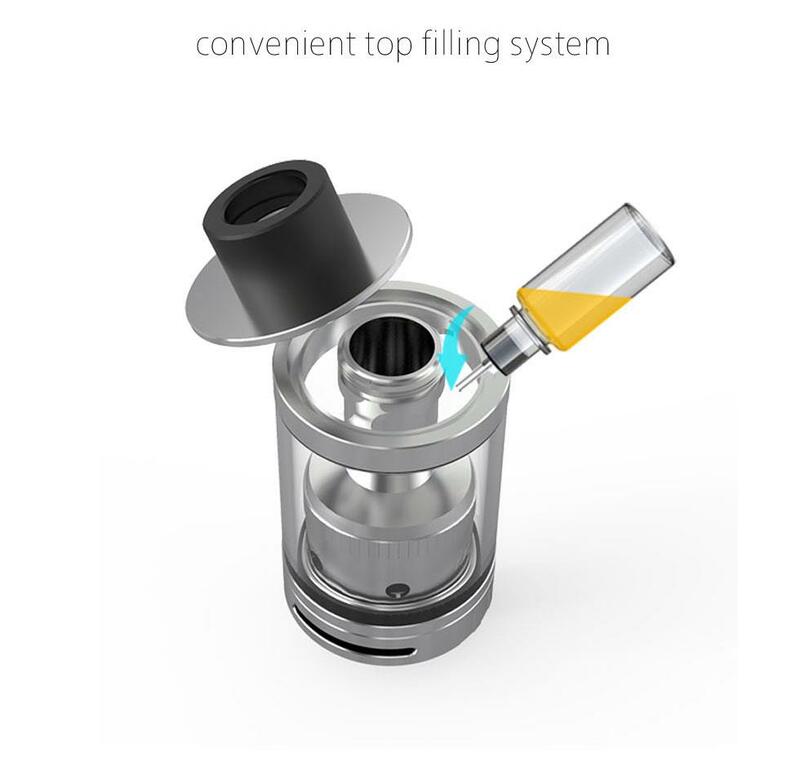 There are so many optional parts available for it too, like colored tank tubes and chuff cap. 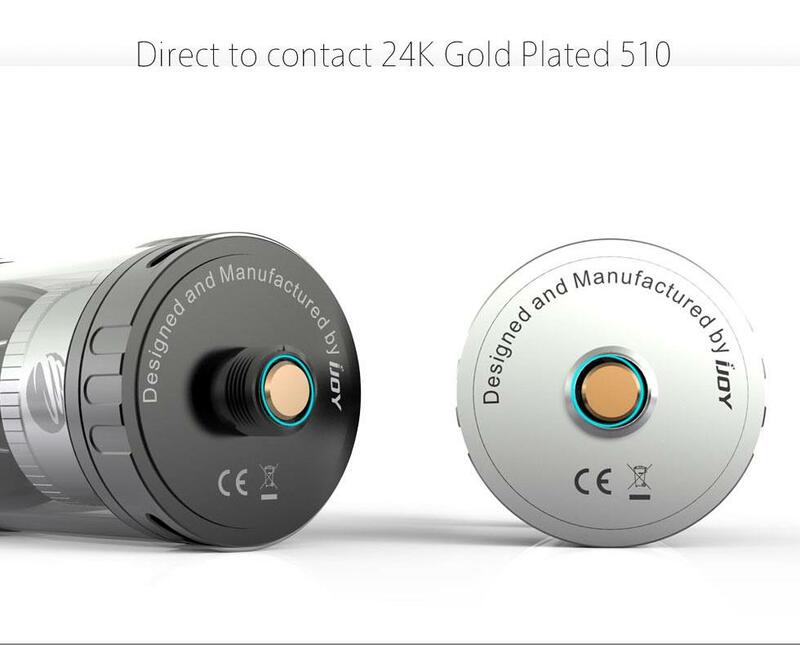 I do wished they mad a single coil RBA section for it! 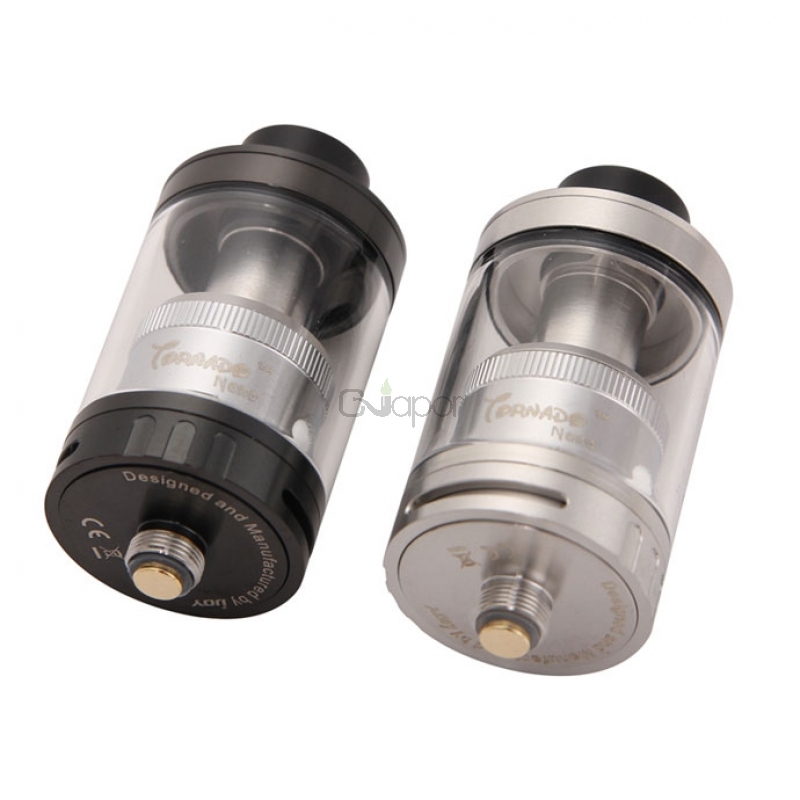 The only issue I have with it is sometime getting the top cap off to refill. It's hard to get a grip on it and sometimes I end up unscrewing the coil. This is the tank that I could not be with out! I have one set up all the time, most of the time both!